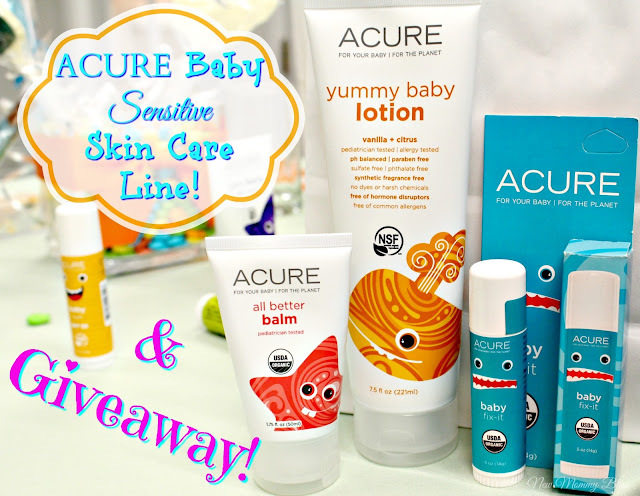 ACURE Baby Sensitive Skin Care Line! Ever since Gabby was a baby, I knew her skin was extremely sensitive. 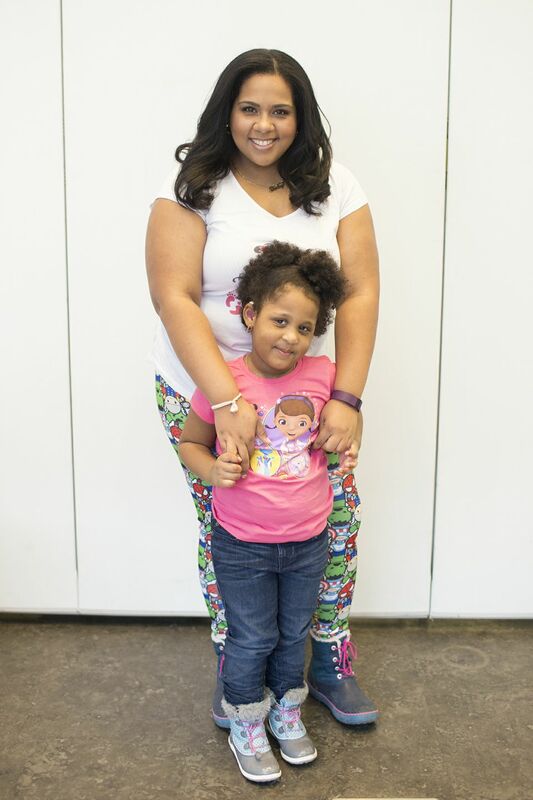 Not only did she have upsetting eczema, but anything that touched her skin would cause irritation. 3 years later and I still only use baby detergent. 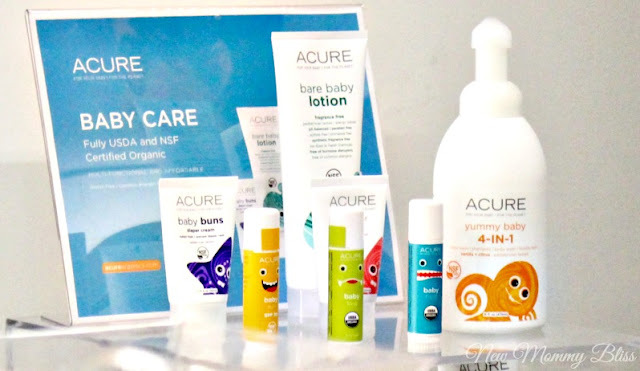 Last week I was able to join some other moms in learning all about an amazing, Organic and natural baby care line called ACURE Baby! The ACURE line is known for creating natural and organic skin, hair , and body products using plant and food based formulas. Now they are introducing a great product line for a baby's extra sensitive skin. The products include a 4-in-1 foamer, Lotion, diaper cream, multi-use balm, fix-it stick, bug stick, and SPF sun stick. The best part of it all? It's free of Gluten, parabens, sulfates, phthalates, synthetic fragrances, harmful preservatives, and artificial colors. 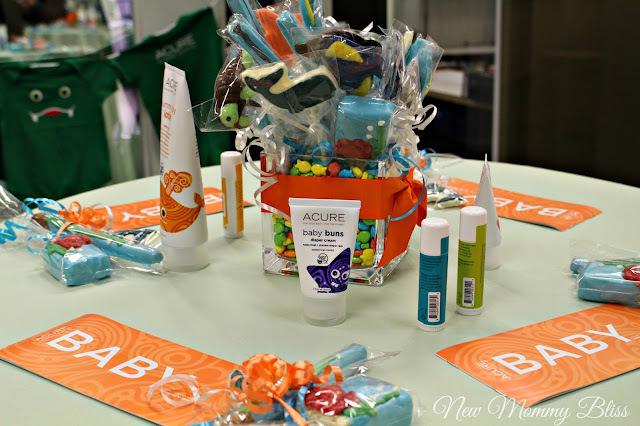 The event was a great way for us to test out the products, hear the story of how the products came about, and mingle with other parents who may have a child with the same skin issues. I love all the products, but my very favorites were the Yummy Baby Lotion and the All Better Balm. The lotions and 4-in-1 Foamer are available in Bare Baby (Fragrance-Free) or Yummy Baby (Vanilla + Citrus scented) for only $9.99 each. 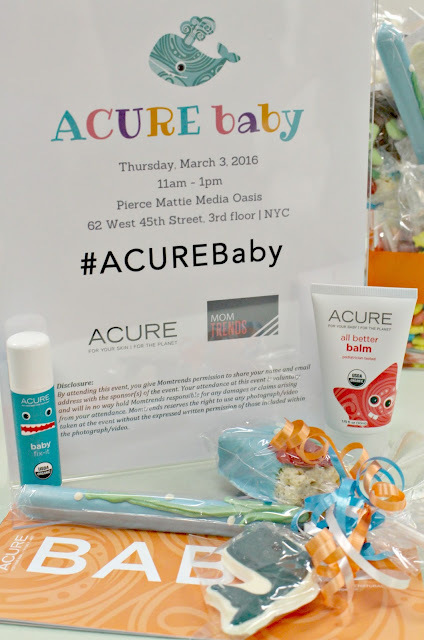 The ACURE Baby foamer can be used as a Hand soap, bubble bath, baby wash, or Shampoo! The lotion nourishes and soothes with cucumber, colloidal oatmeal, calendula, olive oil and shea butter. Baby Buns to soothe and relieve irritation on baby's sensitive bottom. Fix-it Stick which treats and protects wounds anytime and anywhere with a soothing blend of pumpkin, borage, and pomegranate oils. Bug Stick that you rub on to exposed skin to keep bugs away. Sun SPF 30 Stick to protect the family from sun rays. This one smells like vacation at the beach! All Better Balm which is an all-in-one fix balm for mommy and kiddo, used to calm itchy, cracked, chapped, and dry areas of the skin. It can even help diminish stretch marks. I've been using a few of these products on Gabby since we got them and so far I have no complaints! I plan to give an update on the products as soon I use them for 2 more weeks. 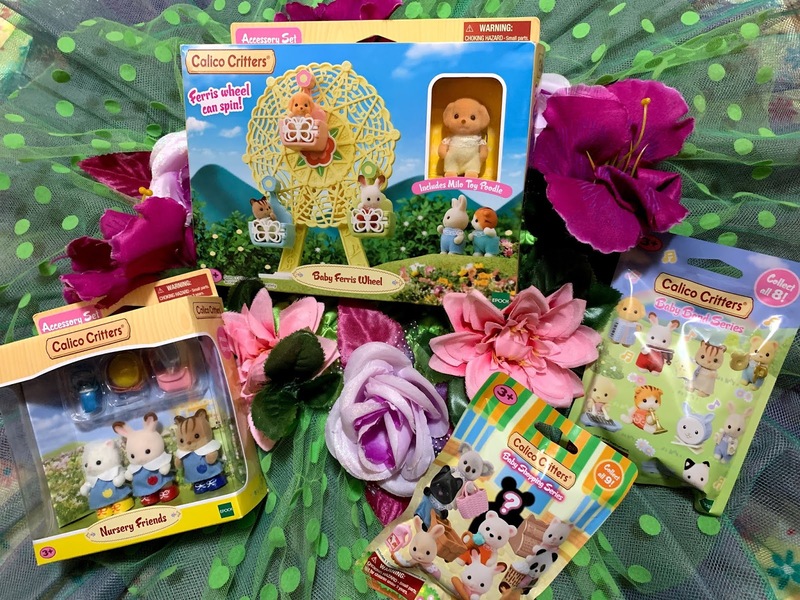 You can find all these products at www.AcureOrganics.com ranging from $7.99 up to $15.99 or You can enter our Giveaway Below! Sounds like great products. Hope I win! I would like to try the yummy baby 4-in-1 foamer for my nieces. The all better balm would be great! The bare baby lotion looks great! I want to try the all better balm! Baby balm!!!! Would love to win!! I'm most excited about the all better balm. Madison has extremely sensitive skin. I'd love to give this product a try and see how it works out for her. I'm excited to try the yummy baby lotion. I like the baby bug stick. I am most excited about the fix it stick. i want to try the acure all better balm. it sounds perfect for us. Lip Lush - Date Worthy looks great! I like the 4 in 1 foamer. I'm excited about the Lip Lush. I am most excited about the Baby Bug Stick as it is almost summertime which means mosquitoes and this would be perfect for keeping them away.